If you are running for office and no one is tweeting about it, you are likely going to lose your election. At least, that’s what last night’s election has shown. Cision has monitored the U.S. Election since last October, and our findings from the past several weeks showed no clear growth in Hillary Clinton’s overall mention totals when compared to Trump’s. In fact, the growth we saw largely included discussions about FBI Director James Comey’s letter to Congress on Oct. 28, 2016. Whether this issue, which is one of many that both candidates faced, ended up being a significant factor in this election remains to be seen. 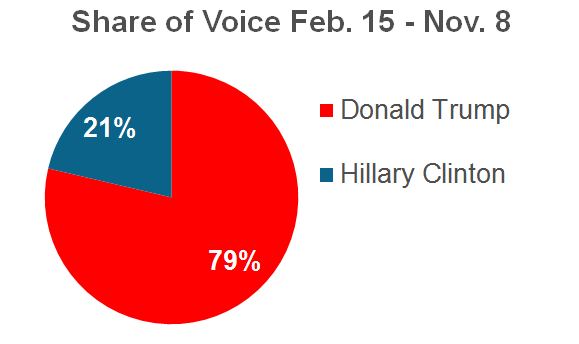 Donald Trump held 79 percent share of voice between February 2016 and Election Day. The conversations on social media almost always discussed scandals and issues. Trump’s comments about Latinos earlier in the campaign led to larger discussions about immigration policy. 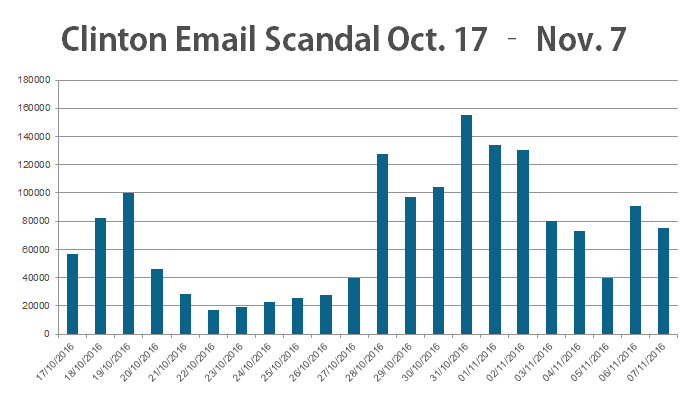 Clinton’s slow-roasting scandal in regards to her use of a private email server baked all year until it finally became the most discussed issue on Twitter. Her emails beat discussions of the economy, foreign policy, healthcare and gun rights. Data still has value. Polling can still highlight people’s opinions and identify trends in society, but we need to evaluate more than those single touch points. 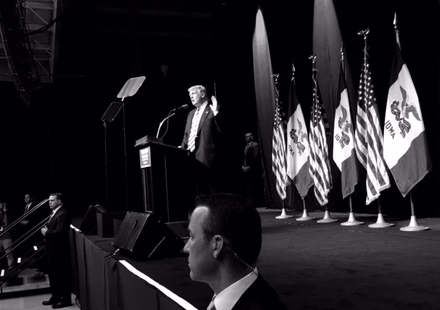 Trump’s campaign said time and again that its rallies and the people attending them showed more support than any poll could count. Brands should learn that bringing people out, meeting with them and speaking with them actually has an effect that’s greater than emails and database marketing. 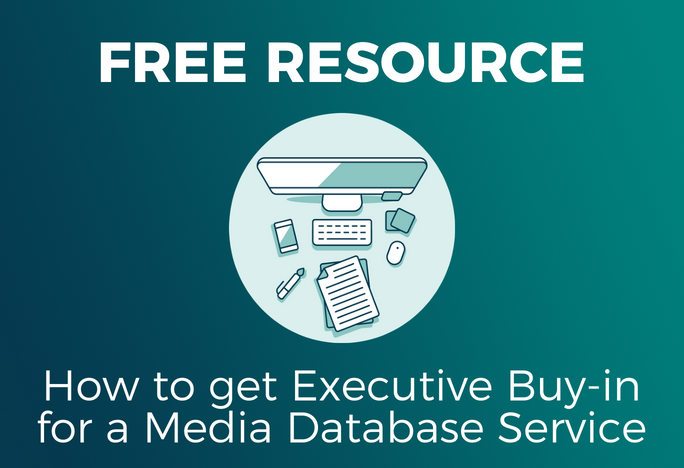 Events are an effective touch point and help build relationships. The format and tone of someone’s language does not change its importance. Anger and dissatisfaction are their own signs of support. If someone is angry enough to argue about something, they at least still care about what they are discussing. When you measure the conversations and tone of millions of conversations, you can come to a stronger sense of a population group’s moods, intention and motivators. The trick to this is not in collecting all of the data but in believing in what it says and directing strategy based on what you find. Cision monitored more than 250 million conversations over the past six months, written by more than 100 million authors. 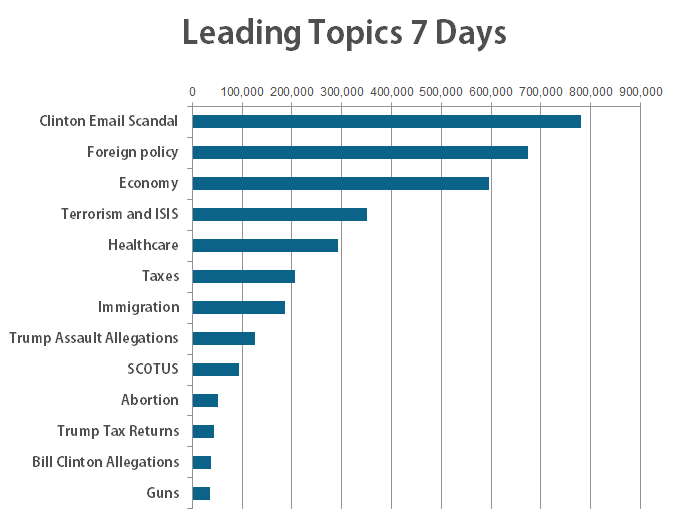 This election has been the most discussed and engaged upon of any election in history. Never before have we as a society had the opportunity to capture and analyze what that discussion sounded like. Lead image: File photo, Donald J. Trump for President campaign. 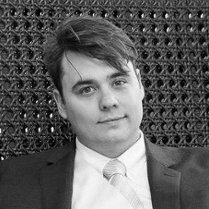 James Rubec is a data geek, a former public relations lead and journalist with a love of content and advocacy. Ask him anything @JamesRRubec and be sure to follow @Cision_Canada.